John: Just perusing your top 50 list after reading your commentary on the recent Askernish Open. Lists are always fun, and, of course, debatable. Just for bona fides, I’ve played 21 of the 50; I’ve been a member at Royal Dornoch for 20 years; I grew up in Hutchinson, KS, and took my first golf lessons from Ross Wilson, long-time pro at my first “home” course, Prairie Dunes; and I love- LOVE- Askernish. So I hope you’ll just give my comments a thought before clicking “delete”. First, Castle Stuart above Royal Dornoch? Seriously, that’s just not on. I played at CS the year it opened and a couple of times since. Lovely clubhouse, nice folks, overpriced, so-so turf, and if a part of the rating is the story the walk tells — well, heading out from the first tee at Dornoch is Dickens. Castle Stuart is Barbara Taylor Bradford. Please rethink this one! As a Minnesota boy, I’ve payed New Richmond a number of times. While perfectly OK, it’s not great, and I don’t see how it made the cut. Interlachen rests on its laurels — or should I say lily pads? When the Donald Ross Society paid a visit to the area, they played at Minikahda, Woodhill, White Bear Yacht Club and Northland. I was the local tour guide, and when I suggested adding Interlachen, the Society’s leaders felt it to be a poor representation of Ross that, due to trees and change, deserved a pass. Which leads me to a serious question: how is it possible that the White Bear Yacht Club isn’t on this list? A Willie Watson/Donald Ross design, it’s quirky, the greens are wild and wonderful, and it is a great walk (perhaps Jules Verne). 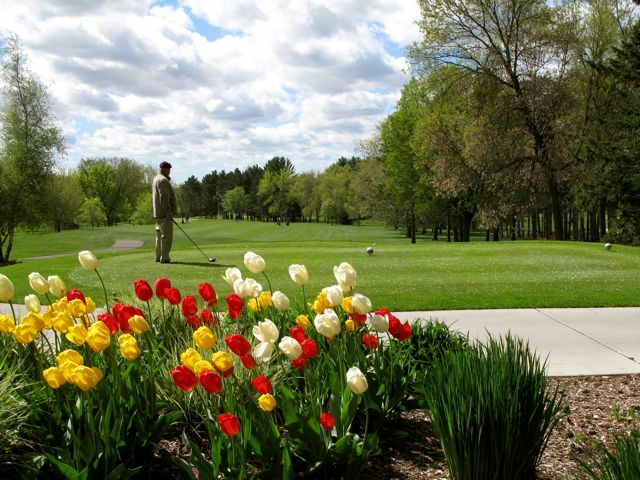 Tom Doak rates it the best in Minnesota and Jim Urbina thinks it’s one of the best anywhere. If your raters haven’t seen it, I am the local historian and current golf chair. Love to welcome you anytime! Similarly, Northland in Duluth is also a real treat and might make the cut. Finally, you rank Monterey Peninsula CC at 46 — which course, Dunes or Shore? I salute you as a fellow obsessive. Enjoy your travels and play away please. Dr. Mammel is an astute observer, and he certainly knows his golf grounds. It’s possible, though, that he doesn’t have hundreds of course raters at his disposal. It’s even more likely that he hasn’t played his favorite courses in ALL conditions, which we strive to do. Castle Stuart, for instance, may not at first glance be better than wonderful Royal Dornoch, which has stood the test of time. 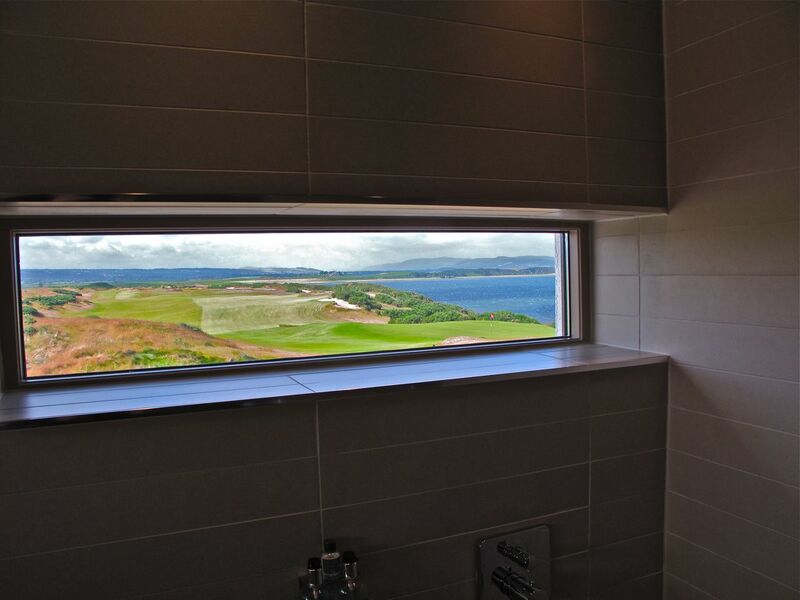 However, his dismissive “lovely clubhouse” ignores the fact that Castle Stuart has the best lavatory/shower views in golf (see photo). Furthermore, I have found Castle Stuart to be playable — even fun! 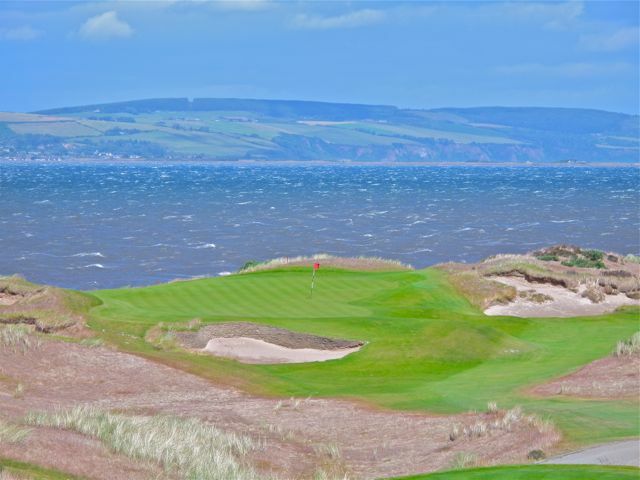 — in 60-mph winds, while Dornoch ceases to be amusing at 35-plus. *Jules Verne, by the way, didn’t put much store in walks, great or otherwise. He was more into submarines and moon rockets. The high ratings for New Richmond and Interlachen make sense to anyone who has read my near-best-seller, Ancestral Links: A Golf Obsession Spanning Generations. Coincidentally, my maternal grandfather, although a cad, was an Interlachen member, and my dad witnessed Bobby Jones’s famous lily-pad shot. Also, my dad helped construct the original New Richmond nine, a sand-greens layout. Finally, Dr. Mammel asks which of Monterey Peninsula Country Club’s layouts is ranked 46th — the Dunes or the Shore? To which I reply: Does it matter? Beautiful views, either way. Top 50 on TV: Nothing this week, as the FedEx Cup Playoffs take a week off to blunt fan interest. However, the battle for “higher status” on the post-Q-School PGA Tour will certainly make the Web.com Tour’s Chiquita Classic must-see TV. It is a sign of the times that neither Golf World, Golfweek nor Golf Channel covered last week’s Askernish Open. I, of course, covered it for Sports Illustrated and Golf.com, having left the Solheim Cup in Colorado as soon as the European ladies’ victory there was certain. 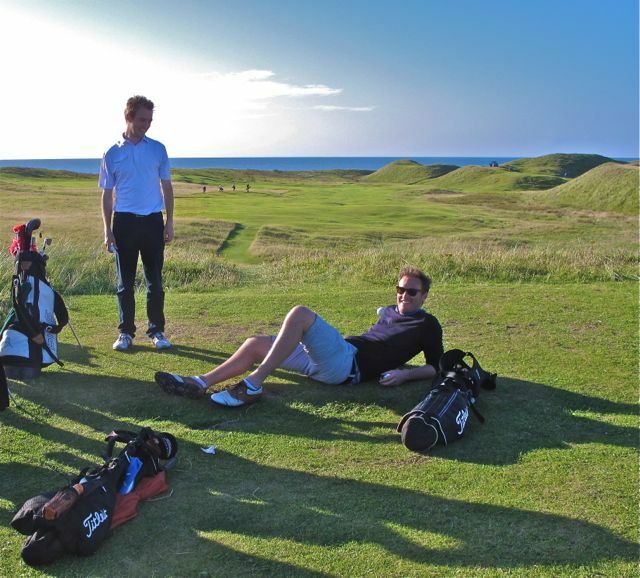 * I even took the extraordinary step of imbedding myself in Saturday’s stroke-play competition at top-ranked Askernish Old, a tactic which gained me a top-100 finish and an automatic exemption for 2014. Unfortunately, I forgot to tell my editors that I was going to Scotland, so there was no room in the magazine or on the Web for my game story, which was, in any case, accidentally deleted when I mistook my iPhone for the Bomar Brain. *For me, that moment came on Saturday afternoon when America’s Michelle Wie celebrated like it was VJ day upon making a putt and then ran uphill to the next tee before Sweden’s Caroline Hedwall could answer with a putt of her own to halve the hole. Once again, last weekend, a truly international field of close to 150 golfers contested the Askernish Open. The sun shone and, naturally, the wind blew and the course lived up to its reputation as a supreme test of skill. Brutal rough punished every wayward shot. The terrifying beauty of the eleventh green, perched on the edge of the ocean framed by the hills of Barra, did little to calm golfers trying to shape a 200-yard tee shot into the wind across a deep gully. But no one who stood there would have wished to be anywhere else. This is no ordinary golf course. For John Garrity, who has reviewed the most famous courses on the planet, “there is no greater golfing experience than what we have here.” The course has consistently topped his list of the world’s greatest golf courses and, as John confirmed at the Open prize-giving, while it may occasionally share the top spot with another challenger, Askernish will never be surpassed. 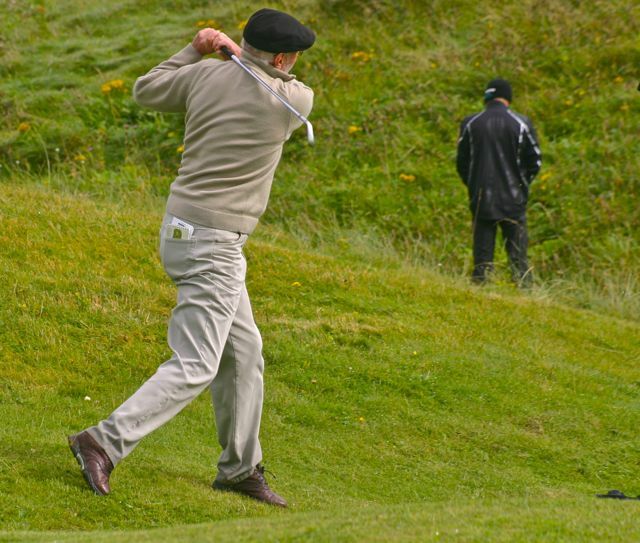 Gillies graciously hinted at the Top 50’s involvement with Old Tom Morris’s renowned “ghost course.” I was, in fact, made “captain for a day” and tasked with opening the Open by striking the ceremonial first shot with a hickory-shafted cleek. This antique club, I hasten to point out, was about as long as a conductor’s baton and had a rusted head no bigger than a commemorative stamp. Ralph Thompson, recently retired as Askernish’s chairman, tried to ice me by saying that “no captain so far has actually botched the shot,” but I took no more than sixty seconds to experiment with various stances and tee heights before smacking a ball that whistled off the elevated first tee and reached a height of ten or twelve feet before landing with a satisfying thud in the first cut of rough, a foot short of the fairway. David Black took three putts on each of the last two greens to miss out on victory by one stroke. A win would have meant a clean sweep of the championship events in the Western Isles this year but, instead, like many of the prizes at Askernish, the Open Championship title went overseas. There were local winners: Jane Nicolson once again took home the Ladies Championship Trophy with a performance that had her head and shoulders above the competition, and Danny Steele from South Uist won the Handicap Trophy. 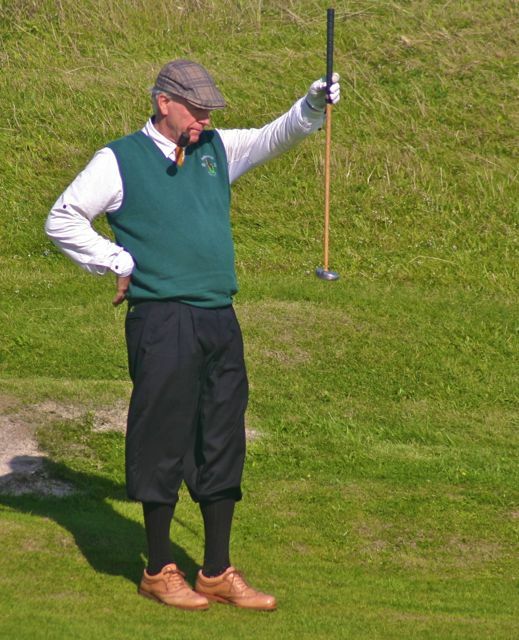 To sum up, the 2013 Askernish Open champion, with a score of 79, was pipe-smoking life member Deal W. Hudson of Fairfax, Va., who played in a dress shirt, tie and plus-fours. Second place, as reported above, went to Stornoway’s David Black, who shot 80. In third, also at 80, was Askernish co-designer Martin Ebert, whose second club is the Royal & Ancient Golf Club of St. Andrews. Fourth prize went to U.S. Army Reserve Major General Wayne Brock, who carded an 81. Askernish Open scores, by the way, are not the equivalent of conventional scores turned in for handicap purposes. The summer rough at Askernish is so deep and pervasive that virtually any ball hit off the fairway is lost. To keep play moving, a local rule allows golfers to take a penalty stroke and drop a replacement ball in the fairway. This inflates scores, but it boosts the sale of 18-ball zip bags of “American Lake Balls” sold in the Askernish golf shop. Top 50 on TV: Nothing this week, but the PGA Tour’s FedEx Cup playoffs open with the Deutsche Bank Championship at 128th-ranked TPC of Boston in Norton, Mass. Phil Mickelson opened with a first-round 63, which is equivalent to an Askernish summer score of 69. For as long as there has been a Top 50 Blog — literally years — Scotland’s Askernish Old has held the No. 1 position. Laid out in 1891 by Old Tom Morris but abandoned by later generations, Askernish vaulted to the top spot upon its Brigadoon-like reappearance on a spring day in 1991. The Hebridean masterpiece maintained its No. 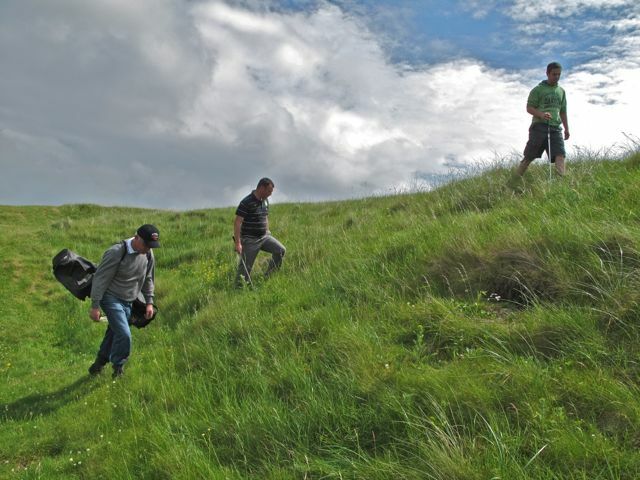 1 ranking despite subsequent vanishings, and in recent years its 18 dramatic holes have been rediscovered and even played by scores of diehard links aficionados. Meanwhile, the No. 2 spot has been held just as assiduously by Ireland’s Carne Golf Links, an Eddie Hackett-designed gem on Mayo’s Atlantic coast. Carne’s second-place ranking has long been a puzzle to links lovers, or at least to those who remember that I proclaimed it “the world’s greatest golf course” in a 2003 Sports Illustrated feature. “You must be confused,” wrote a persistent nitpicker with GolfClubAtlas stickers on his steamer trunk — as if confusion were a disqualifying attribute for a course critic. But now the thinkable has happened. After weeks of stealthy advancement — unnoticed until recently by the wool-gathering analysts at Top 50 headquarters — the Irish course was one good mowing and a couple of tweaks of the Top 50 algorithm from nirvana. This morning, at 9:42 Central Daylight Time, Carne caught Askernish at 10.15/9.85 points on the concentric Perfect-10 scale. For the first time in Top 50 history, two courses share the top ranking. I, for one, was not caught by surprise. Carne’s rise can be explained by the recent opening of its new Kilmore 9, a spectacular side of golf winding through the Mullet Peninsula’s most breathtaking dunes. Designed tag-team style by American Jim Engh (Sanctuary, The Club at Black Rock, Tullymore GC) and Dublin-based architect Ally McIntosh, the Kilmore 9 was a decade in the making. I monitored its progress from Day 1, and last Tuesday I returned to the Mullet to bang out the ceremonial first drive on behalf of a contingent of American and British golf writers. Carne’s new holes were worth the wait. Anchored by three dramatic par-3s and a split-fairway par 5 that invites an heroic approach over a gargantuan dune, the Kilmore 9 echoes the grandeur of Hackett’s back nine without copying any of his holes. In fact, I’d argue that no course in the world offers 18 holes of more distinctive character than Carne’s composite links. Kilmore’s par-3 second, for example, starts high on a bank and winds up far below on the lee side of a massive blowout dune, which McIntosh has cleverly tied into a playable bunker. 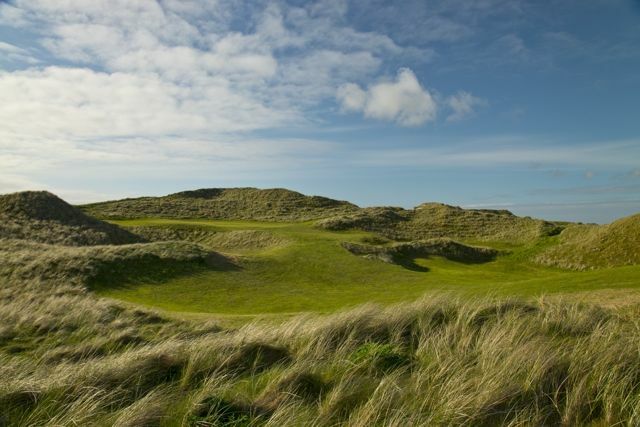 But that hole is a mini-wow when compared to the WOW of the par-3 seventh, which launches from a sky-scraping dune-top to another dune, 228 yards away, with a wrap-around view of the Atlantic and western Ireland as an unnecessary distraction. “That’s terrifying,” one of my playing partners said at the opening. I thought he was referring to the dizzying drop from the tee to the fifth fairway, until I looked up and saw that he was staring at the distant flag, flapping in a two-club wind. *If you’re talking cash, I might listen. Anyway, I thought I’d better get this news out before Golf.com finishes its rollout of Golf Magazine’s “Top 100 Courses in the World.” There might still be time to dump Pine Valley Golf Club from the No. 1 spot and give Askernish and Carne their rightful position in golf’s ever-changing firmament. Top 50 on TV: Inbee Park goes for the “grand slam” of LPGA majors on the 16th-ranked Old Course at St. Andrews, Scotland. Meanwhile, they’re still dancing on Grafton Street in the wake of Ireland’s narrow victory over a crackerjack team of mostly-American golf writers in the biennial Writers Cup at 36th-ranked Royal Dublin Golf Club. The first snowfall of the season has turned the grounds around our Kansas City headquarters into something out of 14th-ranked Currier and Ives, so I have authorized a bonus packet of seasoned apple-cider mix for all hourly staff and sent them outside to build snow forts under a deep-blue sky. St. Andrews Old, No. 16, made the cover of Rolex’s second edition. With quiet descending upon Catch Basin, I’m free to thumb the pages of the recently-published second edition of The Rolex World’s Top 1000 Golf Courses. And when I say “thumb,” I mean it literally. * The Rolex Top 1000 presents as a $35 hardcover book of nearly 1,400 pages — too big to be a pocket guide, too text-heavy to be a coffee-table book, but absolutely perfect for stuffing into your carry bag when your brother-in-law caddies for you at the member-guest. The term “golf atlas” certainly applies, stuffed as it is with maps, travel recommendations, and Lonely Planet-style mini-essays on the favored courses. Nevertheless, the nut of the book is the course ranking itself, which was put together by “D’Algue Selection,” one of the stranger noms de plume I’ve encountered in my decades of course ranking. It has something to do with European Tour pioneer Gaetan Mourgue d’Algue, but the freshest fingerprints belong to his daughter Kristel (the 1995 NCAA Champion and a former European Women’s Tour player) and the British Walker Cupper Bruce Critchley, a Sky Sports UK commentator. They have assembled some 200 “independent, yet fully qualified” course raters and turned them loose on the world’s 31,569 golf courses, winnowing their reports down to a not-so-exclusive club of a thousand. That, of course, is precisely what we do here at Catch Basin — the difference being that we filter out the pulp, the still-straining-for-recognition 950, and serve up the pure juice of the Top 50. So now is probably the time to concede that I find myself in a position analogous to that of John Stewart when reviewing another outfit’s course ranking. Just as Stewart, a purveyor of fake news, hates to break character in front of the Comedy Central cameras, I am loath to admit that my Top 50 is a snide, satirical attack on course rankings in particular and lists in general, even though they be the meat and potatoes of 21st-century media. Oh, I have a few quibbles. The Rolex rankings are all wrong, for one. Carnoustie better than Carne? Oh, puleeeeze. Bethpage Black better than Sand Hollow? Nonsense! And where is Medicine Hole? That Black Hills beauty isn’t even listed, suggesting that D’Algue Selection is biased against rock-strewn, nine-hole munis. But that, as I say, is a quibble. What I love about the Rolex 1000 is its conviction. The editors have taken the reports of their 200 raters and reduced their plethora of impressions and random data to a single number: a score. But unlike the Top 50, which ranks according to Euclid’s “Perfect 10” proposition, Rolex follows the “100 scale” of the American public school system. 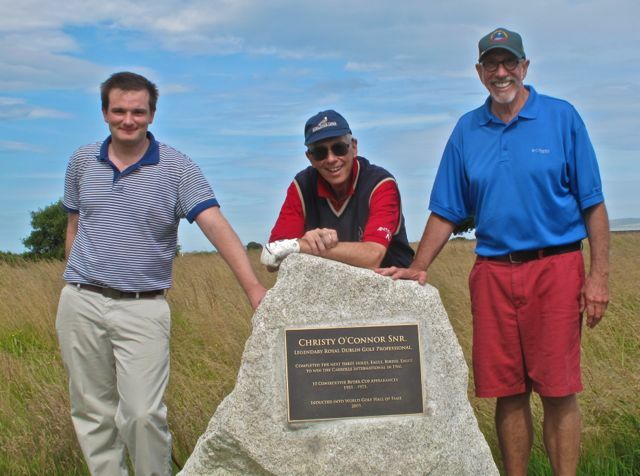 National Golf Links scores a hundred under this system. Ft. Meade City Mobile Home Park Golf Course, one can only assume, brings up the bottom with a score of 1. Rolex’s scoring is plainly deficient in one respect: It relies on round numbers. (Top 50 scores are published in hundredths, but our Cal Sci mathematicians round off at six decimals when assembling their master list.) That said, Rolex trumps the Top 50 and all other course rankings with an inspired numerical ploy: rounding to the nearest five! Some courses score 90 (Kapalua Plantation), and some courses score 95 (Kingsbarns), but no course scores 91 or 93. Just thinking about it, I’m tempted to lock up Catch Basin and leave our marketing guys to spend the night in the cold. Well-played, D’Algue Selection, whoever (or whatever) you are. Top 50 on TV: Nothing this week, but I’ll take a closer look at the Rolex rankings in an upcoming post. In the meantime, you can pick up a copy of the second edition in golf stores and selected pro shops, as well as on Amazon.com. “What’s your favorite golf hole?” asks a reader from my immediate neighborhood. A child, actually. My grandson, if you’re going to get all fact-checky on me. Well, Jack, I have many favorites. Readers of my golf memoir, Ancestral Links, know about my obsession with the par-4 seventeenth at second-ranked Carne. But they may not know that my favorite hole at Carne is either the par-4 third, with its rumpled fairway and two-tiered green, or the par-4 ninth, where you drive into a box canyon before playing blind up to a pinnacle green. Wait no, my favorite is probably the quirky twelfth, which requires an approach shot from a switchback fairway to a dunetop green best reached with ropes and crampons. Or if not the twelfth, how about the imposing fifteenth, a par-4 so rugged and natural that I tend to credit meteor impacts, and not Eddie Hackett, for its strong features. Get my drift? It’s hard to pick my favorite hole on any one course, never mind the thousands of courses that we visit every year to compile the Top 50 ranking. Like most sentient golfers, I love the Road Hole at the Old Course, the lighthouse hole at Turnberry, the eighth and eighteenth holes at Pebble Beach, the par-3 sixteenth at Cypress Point, the majestic tenth at Augusta National, the drive-over-the-beach first at Machrihanish, and the baffling ninth at Ft. Meade’s City Mobile Home Park Golf Course. I’ve currently got a crush on the closing hole at 51st-ranked Caledonia Golf and Fish Club, which calls for two precise shots over scenic marshland to the accompaniment of turtles splashing in an adjoining canal. That said, my favorite hole of the Summer of ’12 is the par-4 fifth at 45th-ranked Hillcrest in Kansas City, Mo. It’s a surprising favorite, because the No. 5 was maybe my least favorite hole when I caddied and played at Hillcrest as a boy in the late fifties. Tree-lined and level from tee to green, it rides a ridge that drops off on either side, most sharply on the left, with the slope starting in the center of the fairway. This was a serious defect, a half century ago, because Hillcrest had not yet installed fairway sprinklers. The summer fairways were bone-hard and brown. That made the tee shot on No. 5 impossibly difficult. Drives hit straight down the middle kicked left off the ridge and bounded through the trees and down the hill toward the tenth green, forcing a blind recovery shot from a steep lie. A slicing drive, on the other hand, would either wind up in the tree line or fly over the trees into the sixth fairway. Hillcrest’s fifth hole was so bad, in fact, that I remember members cursing the nincompoop who had designed it: a Carolina pasture-plower by the name of Donald Ross. Having played Hillcrest often this summer, I’ve come to love the fifth. There’s nothing fancy about the hole — no gaudy bunker complexes or faux mounding — but the view from the tee (or from the green back to the tee) is classic. It’s an archetypal hole, a Ross variation that echoes holes from Pine Needles (T51), Mid-Pines (T51), Oak Hill (T51) and Aronimink (T51). So yeah, Jack, I’d say my current favorite is the fifth at Hillcrest. Now if you limit it to the approach shot, I’d maybe choose the eighth hole at Askernish or the par-5 seventeenth at Royal Birkdale, where Paddy Harrington made his eagle …. But that’s enough for now. Thanks for asking. And yes, we can play catch after dinner.